Founder, designer and Artistic Director Alan Parkinson first started experimenting with pneumatic sculptures in the I980s, and has since developed his own language of form in this plastic medium. The intent is to stimulate visitors to a sense of wonder about the beauty of light and colour, and to create an environment where the visitors' experience is influenced by their own relation to space. The pneumatic form has a simple purity that echoes that of the light it contains. It has been Alan’s work to explore what is possible within the laws of pneumatics, to develop an architectural aesthetic capable of doing justice to the beauty of the light in the luminarium. Since 1992, Architects of Air, a Nottingham-based company, has built 21 luminaria, made over 600 exhibitions, and toured in 41 countries where more than two million visitors have immersed themselves in these luminous worlds. Freight details: 6 to 7 units/ cages which are non-stackable. A tail lift is required for all pick up and deliveries. 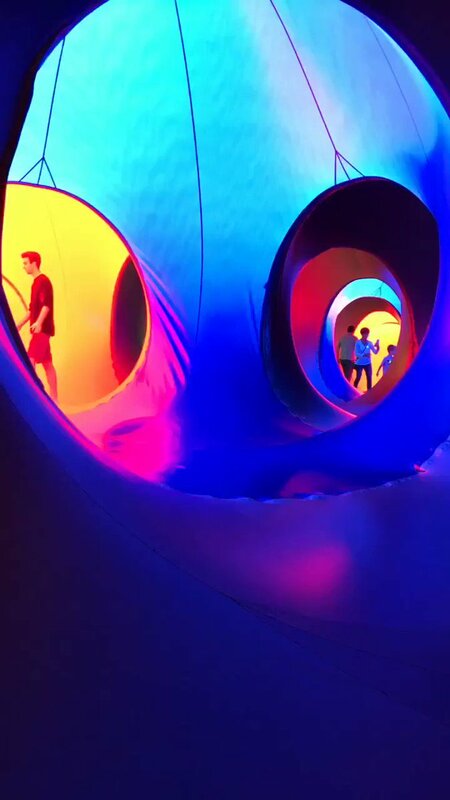 A luminarium is a monumental walk-in sculpture which people enter to be moved by a sense of wonder at the beauty of light and colour. Visitors are invited to immerse themselves in a dazzling maze of winding paths and soaring domes, where Islamic architecture, Archimedean solids, Gothic cathedrals and natural shapes meld into an inspiring mix of design and engineering. The installation awakens all the senses, creating a sense of wonder and enchantment for all ages. Visitors are transported to and immersed in an amazing world of light, and subtle and saturated hues, for a unique sensory experience. It puts visual art in places where you wouldn’t expect to find it. A luminarium can be used as a venue or workshop space. Performance or workshop activities can be planned around the visit by the teachers or presenters. Typical performances are usually storytelling, musical or dance performances. Workshops can also be developed around various themes, such as architecture, geometry, art, pneumatics, light and colour, building models, etc. @ArchitectsofAir RT @NauticusNorfolk: #ALBESILA Update: The sun is shining, and we’re now open until 6 p.m.! 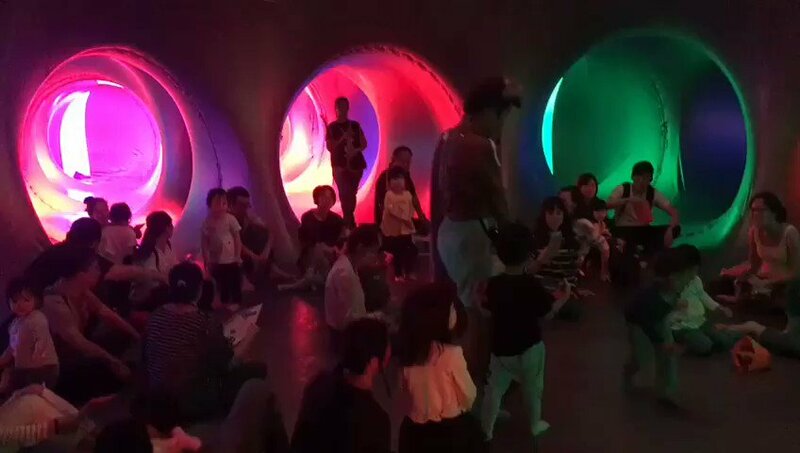 @ArchitectsofAir Our weekday morning performance in Taipei! !